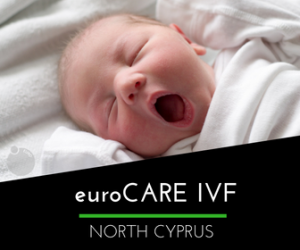 At euroCARE IVF, you can count on our expert IVF specialists to walk you through every stage of your journey. Preimplantation Genetic Diagnosis (PGD) is a specialized procedure carried out at euroCARE IVF Clinic prior to embryo transfer. This procedure helps identify genetic defects of the embryos created through the IVF process and which prevents certain diseases/genetic disorders being passed on to the child. Previously the PGD process could be carried out to check the gender of the embryos, however this is no longer permitted by law — now the process is ONLY performed to identify genetic disorders. What are some of the most common genetic diseases we test for? Thalassemia, Sickle Cell disease, Cystic Fibrosis, and Hemophilia to name but a few. PGD treatment can follow the standard IVF process whereby the initial tests are required to check the hormone levels, the treatment plan is then organized and on the month in which the treatment is taking place, day 1 of the menstrual cycle marks day 1 of the treatment process. On day 2 the stimulation injections begin to develop and mature the eggs. The IVF medical team will determine when the eggs are ready for collection. Your Coordinator will be able to advise the process depending on the specific genetic disorder being tested. For example in some cases a blood sample from the intended parents is needed which can mean a longer time is spent in Cyprus. Once the eggs and sperm have been collected and the ICSI fertilization process has taken place, the embryos are then monitored over the following days. On day 3 of the embryo development the embryos should have 8-10 cells. A hole is made in the shell of the embryo and a pipette is used to remove one cell from the embryo so that testing can be carried out. The biopsy does not damage the embryos development in any way, each embryo will continue to grow and divide normally. The cell that has been removed is then tested for genetic abnormalities so the healthiest embryos can be identified and transferred to the womb. Most individuals and couples seeking PGD treatment are already aware of a genetic disorder and have undergone testing for verification. If testing is necessary to identify a genetic disorder, we will work with you to set up an appointment for the appropriate testing. Enables couples to pursue biological children who may not have been able to do so otherwise. Adrenoleukodystrophy (ALD), Alport’s Syndrome, Amyotrophic Lateral Sclerosis (ALS), Becker Muscular Dystrophy, Beta-Thalassemia, Bruton’s Agammaglobulinemia, Centronuclear Myopathy, Cerebellar Ataxia Coffin Lowry Syndrome, Colour Blindness, Complete and Partial Androgen Insensitivity Syndrome (CAIS and PAIS), Hirshsprung’s Disease, Congenital Cystic Fibrosis, Congenital Hydrocephalus, Down Syndrome, Duchenne, Muscular Dystrophy, Fabry’s Disease, Factor 9 Deficiency, Factor 8 Deficiency, Fragile X Syndrome, Friedrich’s Ataxia, Gardener Syndrome, Glucose-6-Phosphate Dehydrogenase Deficiency (G6PD), Glycogen Storage Disease, Happle Syndrome, Haemophilia A and B, Hunter’s syndrome, Huntington’s Chorea, Hypohidrotic Ectodermal Dysplasia, Idiopathic Hypoparathyroidism, Diabetes Insipidus (DI), Kennedy Disease, XXY (Klinefelter’s Syndrome), Lesch-Nyhan Syndrome (LNS), Lowe Syndrome, Marfan Syndrome, Menkes Disease, Nasodigitoacoustic Syndrome, Nonsyndromic Deafness and X-linked Nonsyndromic Deafness, Norrie Disease, Occipital Horn Syndrome, Prostate Cancer, Retinitis Pigmentosa, Rett Syndrome, Sickle Cell Anaemia, Siderius X-linked Mental Retardation Syndrome, Simpson-Golabi-Behmel Syndrome, Tay-Sachs Disease, Turner Syndrome, Von Willebrand Disease, Wiskott-Aldrich Syndrome, Agammaglobulinemia, Hypophosphatemia, Severe Combined Immunodeficiency (SCID), and Sideroblastic Anaemia.